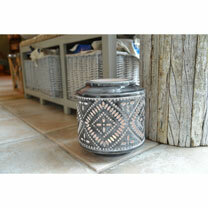 Metal cut out detail tealight holder with a ceramic effect finish, 11.5 x 21.5 x 21cm. 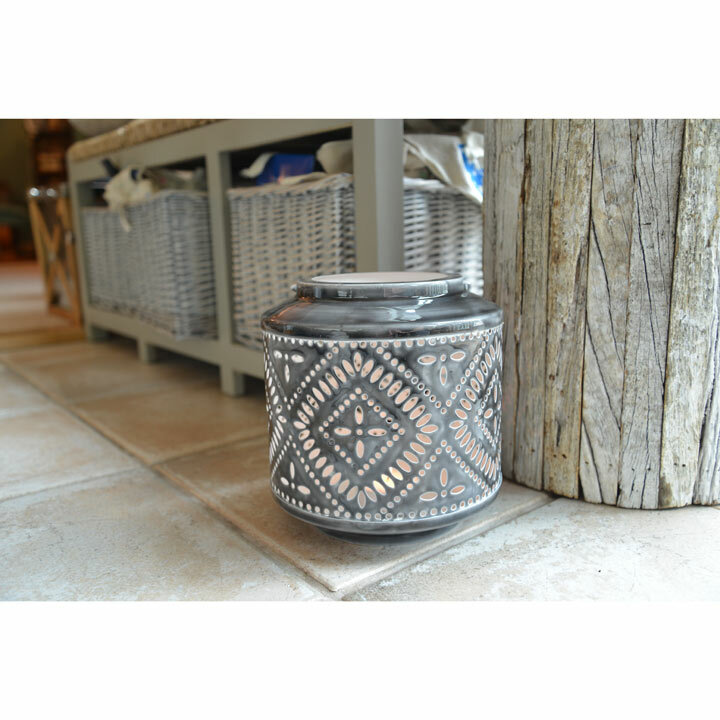 Tealights not included. Never leave burning candles unattended.